AUSTRALIAN MADE AND AUSTRALIAN OWNED! We have a NEW DAKEN Combination Bucket with a completely NEW Concept. It is the result of extensive research and development. End users were consulted prior to design and engineering to ensure the BEST possible materials and construction methods were incorporated. 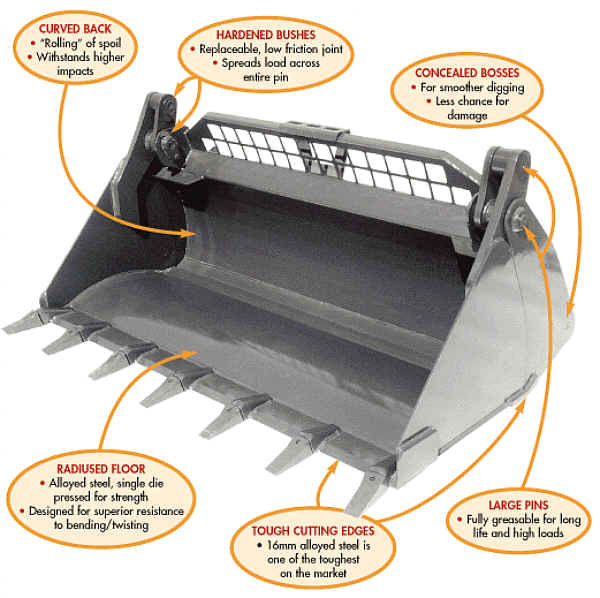 The Combination Bucket has been engineered to give maximum clamping force where needed. 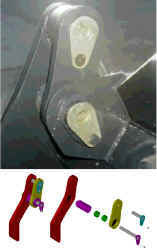 It is also partially robot welded for accuracy and has concealed lower bosses, resulting in smoother finish. The Combination Bucket has been fully CAD prepared. While the Combination Bucket is at present a product dedicated to skid-steer loaders, adaption to Tractor front-end loaders is proving to be a popular option. Euro Hitch can be fitted on most sizes. We feel so confident that our NEW DAKEN Combination Bucket will exceed your expectations that we offer a 30 day satisfaction guarantee and a 12 month warranty. DIG, DOZE, FILL AND GRAB ALL IN ONE! · Smooth Finished Back - There are no crevices to catch dirt or debris. Also the hydraulic lines have been designed in such a way that they are out of the way of damage. · Curved Side - The new bucket's curved side enables you to cradle the clamped material. 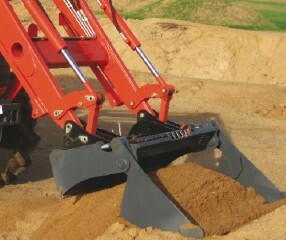 · Large Opening Gap - This enables you to see the cutting edges from the operators seat and when back-blading. · Flush Face Couplers - This feature reduces the likelihood of grit entering the hydraulics system. With Euro hitch mounting, hydraulic hoses with QC couplings. These buckets do not include teeth. Buckets are also available to suit Daedong, buckets with teeth also available.